Renée Zellweger photographed by Alexi Lubomirski for Harper's Bazaar UK November 2010 issue. 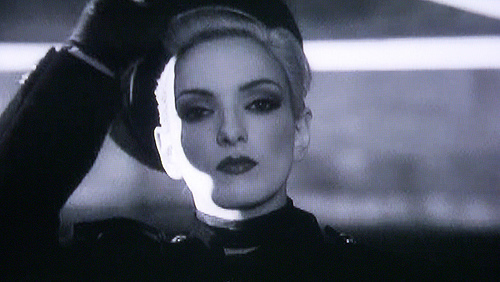 A still from The Chauffeur vid, eloquently photographed by Ian Emes. …which of course, was inspired by the photographs of Helmut Newton. Catherine Deneuve photographed by Helmut Newton. Sometimes inspiration comes full circle. Zellweger photo courtesy of MagXone, Chauffeur image courtesy of sssour, Newton image courtesy of Obvious Mag.